Welcome to Tajikistan! Discover the history and heritage of Tajikistan. Explore local culture and traditions and enjoy the hospitality of Tajik people. Enjoy hiking and climbing popular rugged mountains of Tajikistan. Tour Operator GLOBAL CONNECT offers Private and Group Tours to Tajikistan’s most interesting destinations and attractions. We offer a wide range of private and group tours for individuals and groups and we adjust the itinerary to your interest, ideas and time frame. Private guiding is available in all major languages. We are able to create a special custom Tajikistan tour according to your own wishes and preferences. Let us know your wishes and assist you for personalized tours in Tajikistan. 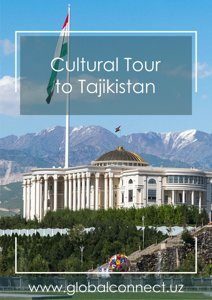 GLOBAL CONNECT team has over 10 years of experience in touring Tajikistan. 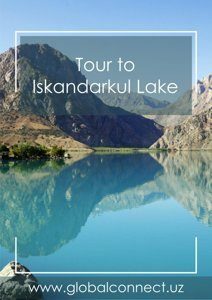 We have a strong experience in organizing an exclusive Tajikistan custom tours depending on the individual preferences & budget. Our custom made tours are specially planned to provide our clients with the high level services, it doesn't matter whether you are a holiday or business traveler. 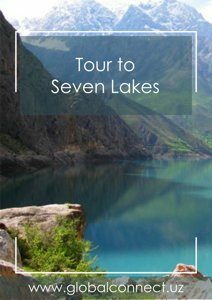 Whatever may be your Tajikistan trip budget, we arrange the tours to enable you to visit and experience the maximum number of unique, natural and cultural sights of Tajikistan. Which city would you like to visit the most in Uzbekistan?